You have one week to go before Thanksgiving! Haven’t started planning yet? Fear not! There’s plenty of time to get organized for your big feast. 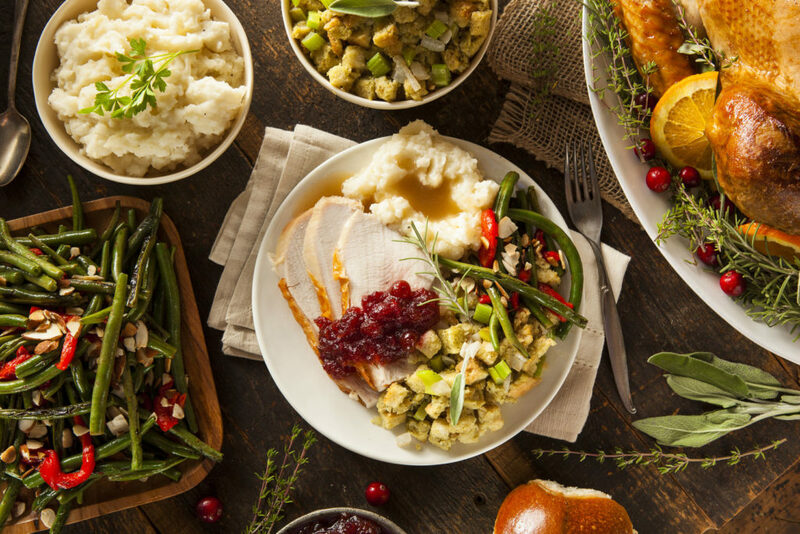 Here’s our helpful shopping and prep check list for making sure you’re on track for enjoying the best Thanksgiving ever! You are going to need every square inch of space for all those dishes and casseroles and there are probably at least a few containers of things that can be tossed. If you have a self-cleaning oven, use that feature this weekend. Won’t it be nice to pop your turkey into a nice, clean oven? If you’re making pies from scratch, you can get the dough out of the way this weekend. Just wrap up the disks well in plastic wrap and they’ll be ready to go on Tuesday or Wednesday. Here’s a recipe for a good pie crust. You can pick up either a fresh or frozen bird this weekend. If you get a frozen one, you will have to start thawing it on Monday if you’re thawing it in the fridge. Get your cranberry sauce out of the way by making it this weekend. It’s so fast and easy to make and will keep in the fridge for several weeks. Here’s a recipe for a simple cranberry sauce. Do you know where the turkey roasting pan is? The roasting rack? The gravy boat? Do you have enough pie pans? If you’re missing anything you still have time to run out and buy it. 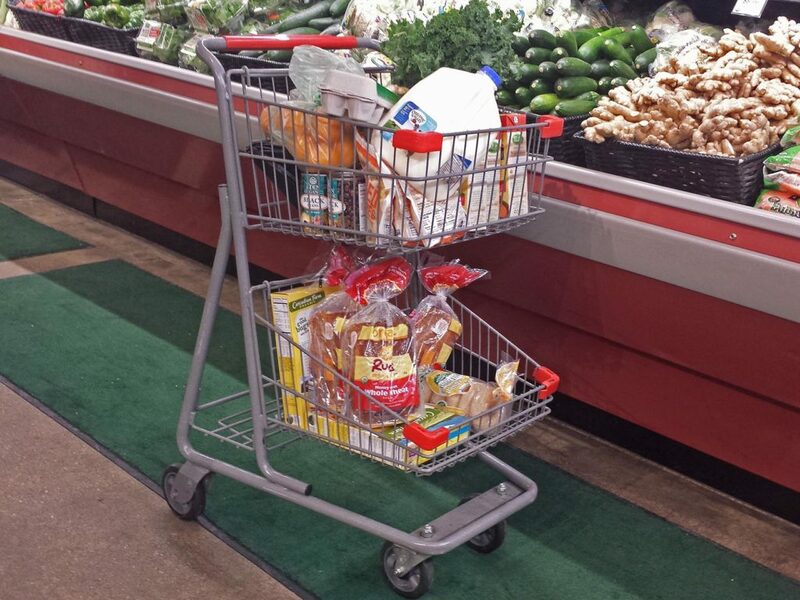 Figure out exactly what you are going to make so you won’t be forced to run to the store for last minute things. With a completed list in hand, you can leisurely shop for your ingredients next week. 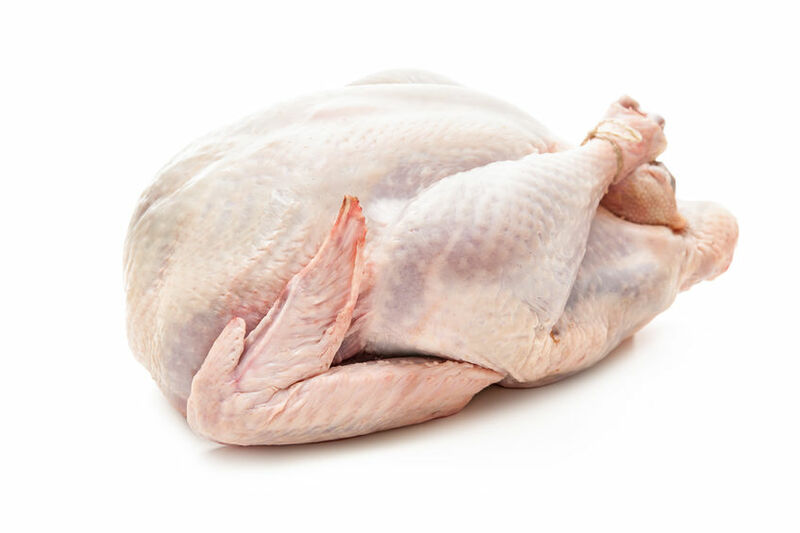 If you have a frozen turkey, start thawing it now in the fridge. If you plan on brining it, you can make the brine now. Here’s a recipe for a simple wet turkey brine. Shop for things like wine, chicken broth, spices, potatoes, frozen foods, etc., all the non-perishables. Pick up some ziplock bags or containers for leftovers. Buy all your fresh ingredients like veggies, fruits, dairy products, etc. today. Don’t wait until tomorrow in case the stores run out of things you need. Also, you’ll avoid the mad rush the day before Thanksgiving. You probably won’t have time for house cleaning on Wednesday so do it today. Things you can prep today: veggies for stuffing, cut and toast bread cubes for stuffing, wash lettuce for salads, make vinaigrette, anything else that will keep in the fridge for a couple days. If you’re not heating frozen rolls, purchase your fresh rolls or bread today, and other desserts that you’re not making from scratch. 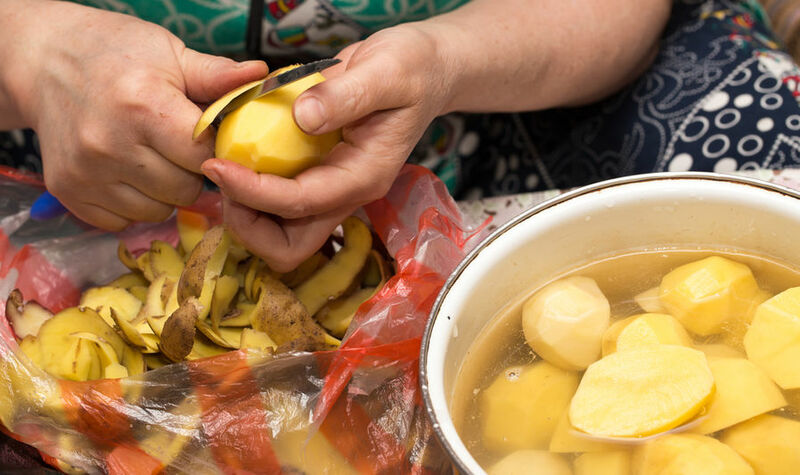 You can peel your potatoes today and keep them submerged in water in the fridge so they don’t turn brown. Trim your green beans and Brussels sprouts or prep whatever fresh veggies you will be making. Congratulations! You’ve done a great deal of the work already so today should be a breeze! Make sure you get your bird in the oven in plenty of time for the start of your meal. How soon you should stick it in the oven depends on what temperature you set your oven and how big your bird is. Here is our handy dandy roasting guide. Don’t forget to plan time to let the turkey rest, which is absolutely essential for the tastiest, juiciest bird. Get your family to help you with any last minute needs. Enjoy and be thankful!